NASA looks set to pull the plug on its joint missions to Mars with the European Space Agency (ESA), ExoMars programme. NASA has told ESA it is now highly unlikely it will be able to contribute to the endeavors, which envision an orbiting satellite and a big roving robot being sent to the Red Planet. The US has yet to make a formal statement on the matter but budget woes are thought to lie behind its decision. Europe is now banking on a Russian partnership to keep the missions alive. A public announcement by NASA of its withdrawal from the ExoMars programme, as it is known in Europe, will probably come once President Barack Obama’s 2013 Federal Budget Request is submitted. This request, expected in the coming days, will give NASA a much clearer view of how much money it has to implement its various projects. “The Americans have indicated that the possibility of them participating is now low – very low. It’s highly unlikely,” said Alvaro Gimenez, ESA’s director of science. “They are interested, they know it’s a very good option for them – but they have difficulties putting these missions in the budget,” he said. The pull-out by NASA – if that is confirmed – will be just the latest twist in what has been a long running saga, and it will leave Europe’s Mars ambitions in a precarious position. 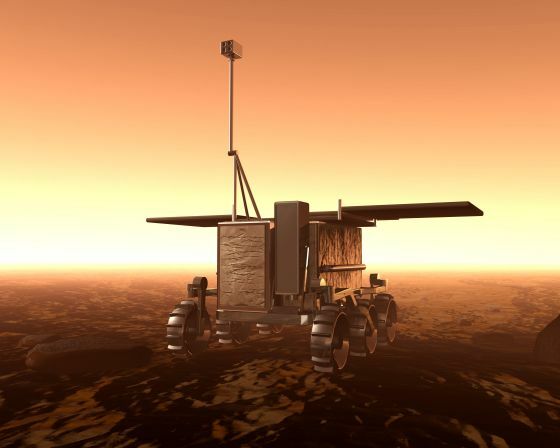 As currently planned, ExoMars would see an orbiting satellite launched in 2016 to “sniff” for methane and other trace gases in the Martian atmosphere, followed by an autonomous rover in 2018 to drill beneath the planet’s surface. The Americans were supposed to be providing instruments and a communications package for the orbiter, and a great swathe of equipment for the rover, in addition to the rocket to send it on its way and the descent system to get the robot safely down on to the Martian terrain. Concerns last year in the US about the state of NASA’s Mars budget had already prompted ESA to inquire whether the Russian space agency (Roscosmos) would be interested in entering the ExoMars programme. But the latest signals from Washington have now pushed ESA into discussing a full bi-lateral agreement, with the intention that Roscosmos pick up many of the responsibilities expected to be dropped by the Americans. This would include instruments for the orbiter and the provision of two Proton rockets to get both missions to their destination. It could not be a straight substitution of roles, however, because the Russians do not possess all of the skills that NASA was proposing to bring to ExoMars. For Europe, it means returning to an earlier, smaller design for the 2018 rover. It would also have to resurrect ideas it had for vented, or dead-beat, airbags to cushion the vehicle’s touch-down. But the technical challenges of having to reframe the ExoMars missions may pale in comparison to the difficulties of meeting the additional costs involved. Changes in architecture would inevitably push the budget profile beyond the one billion Euros that ESA member states had agreed should be the cap for ExoMars. “I cannot pretend the situation is not grim,” commented Dr. David Parker, director of science, technology and exploration at the UK Space Agency (UKSA). ExoMars was formally initiated in Europe by ministers in 2005. ESA has already spent in the region of 200 million Euros on technology development, and would be loath to give up on the flagship project. “ExoMars is really important for Europe and its role in future exploration,” said Dr. Gimenez. “It’s important for science and it’s important for industry. There are a host of reasons to continue with ExoMars and that is why I am working so hard to try to make it happen,” he added. A NASA pull-out of ExoMars would be met with dismay by American planetary scientists. The 2016 and 2018 missions were seen as the first steps in a series of missions that would lead to the eventual return of Martian rocks for study in Earth laboratories. A recent panel reviewing the future of US planetary science considered this goal to be a top priority. Withdrawal also has grave implications for transatlantic relations. The US has already left Europe high and dry on several projects of late. Last year, it walked away from three multi-billion euro missions-in-the-planning, forcing European scientists and engineers to head back to the drawing board after three years of feasibility work.